I recently lectured in class about African enslavement and decided to include the Arab Slave Trade in Africa. I thought it important to address the role of African knowledge in the development of Europe, and the African relationship with Arabs was a useful jumping off point. Essentially, you can look at it in two ways: the impact of African wealth and intellectual advancement via Greece and Rome, and the Moorish occupation of Southern Europe. Greece and Rome’s colonization of North Africa provided them access to wealth both material and intellectual. Most obsess over the material wealth, but what we often miss is that the advancement of “civilization” in Europe was unprecedented in regard to the speed and breadth of Greece and Rome after it’s conquest of Africa. Why? Yes, Rome’s wealth was overwhelmingly increased by colonizing North Africa, but the acquisition, internalization, and dispersal of African knowledge systems in mathematics, engineering, religious thought, philosophical reflection, state management, warfare, astronomy, medicine, and economics (to say the least) from African libraries dramatically cut the learning curve of any society that had access to the texts. These texts weren’t recent productions in Africa. Although they hadn’t stopped developing new knowledge, the African libraries (the relocated and re-titled libraries of Alexandria—a name Alexander gave to over ten different cities he conquered from Africa to Asia) were acquired by force after years of Greeks learning in Egyptian schools as students (such as Pythagoras). Once acquired, they were burned down several times, but many of the texts were stolen (and even re-authored and credited to Aristotle and his contemporaries). They would serve Rome’s advancement, and later the Arabs that colonized North Africa from the Romans. The invasion of Spain and lower France by the Moors (a combination of Africans and Arabs under Islam) was also an interesting testament to the efficacy of African knowledge. Although Islam came to North Africa as a colonizing entity, Arabs were not completely hostile to African knowledge systems. 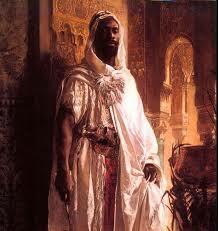 The universities at Salamanca and Timbuktu were reflective of both African’s and Arab’s appreciation for education. In Spain, during what Europeans called the Dark Ages, the Moors opened universities as often there’re liquor stores in the hood here in the US. Architectural engineering, geometry, scripted numerals, algebra (an Arabic word in fact), and many other intellectual influences were from African libraries (and was even appreciated by the Spanish and other Europeans who came to marvel at Moorish advancement in major cities. Hey, you try to do a mathematical equation using Roman numerals). The libraries became a sort of “Spear of Destiny” as people fought over them as they did material wealth (in many circles, the spear was regarded as the weapon that pierced Jesus’ body on the cross that was said to bring power to any people who claimed it). In many ways, they were the core of advanced European thought, now falsely credited to Greece (mostly). In the absorption of African thought, Europe applied what was immediately relevant to them and discarded what was not. For example, in regard to gender and mythical representations, Europe used sacred African thought very purposefully. Assumptions about women and sacred femininity were radically altered as well in the reinterpretation of African knowledge systems. At the onset of Christianity, representations of femininity were reduced from the status of goddesses and made into the mortal triad: the virgin, mother, and crone (witch). Surprisingly, women are still often represented in such ways. 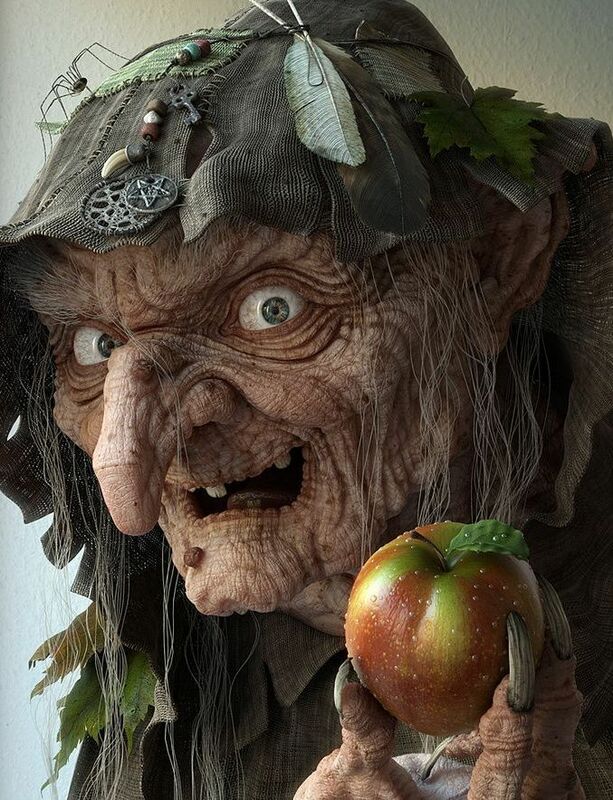 The witch (not limited to elder age) was villainized as an enemy of the church during the European Catholic Inquisitions, which sought to reduce women to second-class status throughout Europe and transferred ownership of family-owned lands to the Catholic Church (so families could not claim them due to bloodline ownership–and hence, the reproductive threat of women). African systems, on the other hand, often required that male deities had a feminine consort of equal power. Thus, the crone was no crone at all, she was a representation of the goddess (or the feminine quality in nature). Christianity removed the feminine goddess, and emphasized the mortal virgin/mother (and thus Jesus has no female partner of equal status, but rather a de-sexualized “ghost” as part of the trinity). The witch came to symbolize a distrust of female power, as there was no feminine symbolic figure of great power that could personify feminine wisdom. In terms of exegetical practices then, the removal of the goddess, in practice, meant an overemphasis on the masculine approach to spiritual practice (doctrine and scripture), over the feminine approach that emphasized the wisdom obtained from experience and meditation. Both were meant to function interdependently. After all, what good is scriptural knowledge without the wisdom to understand it? Or wisdom gained from experience and reflection but not documented for others to learn from? We often overlook that the practice of producing knowledge should not be static. People fought over the libraries as one does a material item, but what was not privileged was the ability to create new knowledge and develop the type of system required to sustain a society so that new knowledge could be produced and welcomed (both Spain and Greece initially fought against scientific development). Furthermore, even though Greek and Roman religions were heavily influenced by Egyptian religions, they focused on mimicking the form of it, creating deities that on the surface were somewhat similar, but separating the meaning from it. Zeus, Athena, Apollo, Poseidon, and even Hades were pale imitations of figures such as Amun, Atum, Ausar, Auset, Heru, and many others. But more importantly, they were not “gods” to be worshiped blindly and superstitiously in Egypt (KMT or “Kemet”). They were a means for communicating multiple levels of ideas at one time. They often corresponded to: mathematics, the movement of the stars and constellations, the development of moral thought and right action, the advancement of spiritual wisdom and meditation in one’s own practices, and even how to carry out justice legislatively in society. Fundamentally, they offered a shorthand way of teaching and exchanging data about scientific advancements as well as new spiritual observations. Termed, Anthropomorphic Astrotheology, the types of meaning conveyed in religious narratives were dogmatized into “stories” rather than complex systems of meaning.  Anthropomorphic: when a concept is “personified” as a human figure, often within a narrative to display how theoretical or metaphorical concepts interact with other qualities in nature.  Astrotheology: usually beginning with the deification of the sun, the use of the movement of the planets and star constellations in relation to the sun to articulate religious doctrine. 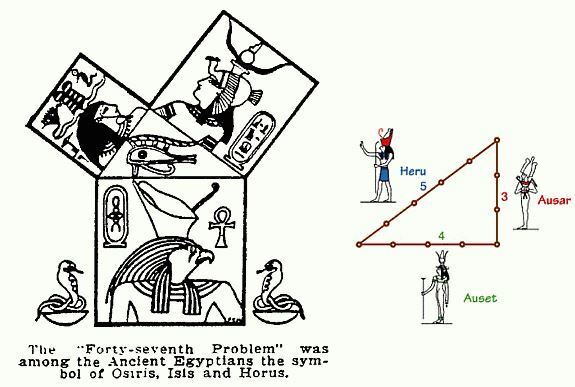 In fact, many of the main figures were solar myth figures (Solar Myths: crucified saviors were inspired by the ancient African concept of Heru (Horus)–that served as anthropomorphized representations of the sun, and their life stories are analogous to the sun passing thru the 12 constellations of the zodiac; while the Sun is analogous to the spirit purifying itself through life experiences in an effort to advance a person from merely experiencing life to living it as a fully actualized being. Kemet welcomed students from Asia, the Middle East, and lower Europe into their 40-year educational system (only the initial years were devoted to the internalization of data, the latter years were designed to show student (initiates) the wisdom of how to use the data in a variety of ways). Initiates learned how to relate symbolic myth to astronomical constellations, scientific experimentation, and human consciousness. This “method” of spiritual communication was absorbed into a number of societies’ pantheonic faiths (such as Greece, Rome, Syria, India, Phrygia, and Babylonia) and each developed myths with a central “godman” and “goddess-woman” framework replete with an immaculate conception, virgin birth, and death/resurrection themes. It was encouraged that each group reframe the method in the context of their cultures (and thus, Jesus was the Hebraic interpretation of Heru). Culture becomes important here, because westerners tried to comprehend African cultural institutions and sets of practices from their own context, relying heavily on literal translations of concrete historicism (i.e. Jesus as a historical figure), but ancient Nile Valley spirituality did not. They relied on allegory and organizational “initiation” (think Obi Wan Kenobi and Luke Skywalker as “Jedis” in the Star Wars series, where Lucas got the idea for the “Master” (teacher) and the “Padawan” (pupil) via mythologist Joseph Campbell, who studied it in ancient history). In the ancient mystery traditions of Egyptian education, the deities were a vocabulary for people trained to “read” at various levels of initiation. The more you absorbed, the more you understood, and thus the higher your development. So now, we emphasize what degrees we’ve attained, what books we own, and other such markers of intellectual status…but not the act of creating knowledge. The African libraries absorbed into Greece (which I’m now using as a symbol for knowledge) should be an inspiration to continue to create, not stand in as static, fixed knowledge. It was a means of cutting a society’s learning curve, allowing a newly formed society to pick up from where the last left off (or when they were colonized), but the emphasis should still remain on creating. The Alexandrian texts (even contemporary holy texts) are but snapshots of creativity in motion—not static laws to be obeyed for all time. They were not meant to be texts that secured power for one group over another, nor something that encouraged a regression from growth, advancement, or new scientific discoveries. They should inspire one’s own spiritual creativity, not just promote the memorization of facts, verses, and data. Even the scientific fetishization of acquiring new data (and the capitalist notion to exploit the market with it) can be faulted for this… The question should always remain, what are we doing with what we learn? How can it be used to help those in need? In Black Gnostic circles, this is the difference between Piscean and Aquarian definitions of knowing. But if that’s not your bag, you can probably appreciate the difference between people who hold onto things they were taught years ago, but have not created anything with what they’ve learned. Instead they regurgitate what was given to them, and measure your value based on whether you can regurgitate their knowledge. As a professor, I am constantly around those who fetishize data, hoard it, and seek to dominate others with it. When I think about the recent debates surrounding the newly reframed tv show Cosmos with Neil de Grasse Tyson, the debate between scientific “big bangers” and the religious creationists are again a product of Greece’s misunderstanding of African knowledge systems. 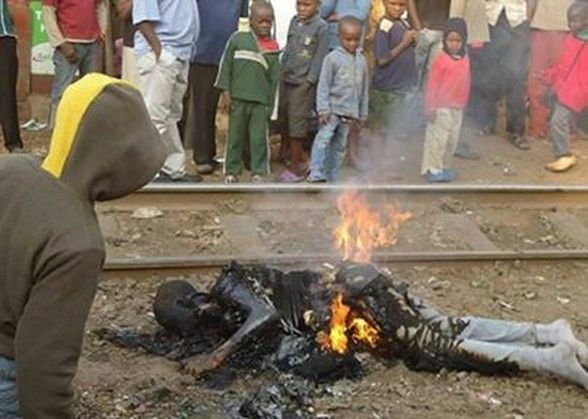 Africans in Nile Valley civilizations did two things of note here. First, spirituality was used to both stimulate scientific discovery, while science deepened their spiritual appreciation for life. They were not at odds. Second, they used them for different purposes. Science and spirituality had two different covenants. Science helped us learn to live in the world and adapt it to our needs. Spirituality taught us how to value life through reflection. (Science and spirituality are like the difference between watching a baby born and the ceremonial practice of having a birthday party. One instructs us about what happens during childbirth while the other helps celebrate the value of YOUR birth.) Different covenants. This is why Tyson, in the ancient African tradition, would have been a priest or heirophant in an academic culture that routinely used mythic figures as scriptural concepts to communicate advanced scientific ideas. He would not need to differentiate between spirituality or science, science IS spirituality…and spirituality is a science. Scroll to 11:42 min on the topic of the universe being knowable. 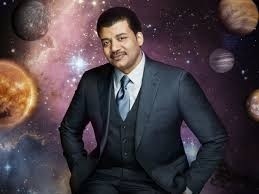 Essentially, this is a Gnostic argument, that the mysteries of the universe can be known. In other words, the Big Bang does not conflict with spirituality, it would simply be considered an advancement of what we know now–with the assumption that there is still much more to learn. But scientific advancement is continually growing, and it can also appear to be contradictory from one time period to another. Thus, meaning had to be tied to scientific development, but not wholly dependent on it (remember, it was once high science in Europe that people of different skin colors were considered less developed on the evolutionary hierarchy of life). What then should knowledge mean to us? Spirituality would suggest that the beginning of life, whether it’s the universe or human life more specifically, should only mirror the beginnings of awareness that we are alive. The Kemetic origin story of Ptah atop the mountainous Atum rising out of the limitless Nun is a metaphor for the constant process of knowing coming from the unknowable (specific knowledge from all of the possibilities of what could be known), expanding consciousness, emerging from darkness to light, and the development of wisdom. Spirituality, here, mirrors whatever we learn about our factual origins because it focuses on something else, the value of living. How we got here is simply another matter. The two, spirituality and science, were complementary fields that gave us two ways of appreciating life–and both of them improved the quality of human life. One improved what we knew about the world while the other improved who we were in the world. ~ by Lord Amaru on March 23, 2014. Ase’ – YES! Been on a similar wavelength and am affirmed by this. The time is near, now, sasa. Be Blessed. what are we doing with what we learn? How can it be used to help those in need? An concept that I think a lot on and still have not acted on, I ask often what do I do with all that I have learned and read on, some say hey live it and make it a way of life (easier said than done) I guess for me it is to be around more people of like mind, and then the live it rule can work.